Last weekend I went to Svensk Scrapbookings crop in Karlstad. I had a great time and made projects for 7 of the challenges, that has got to be a new record for me! Well, actually I think I made projects for 8 challenges but one I’m not going to put in my blog. It was a crazy 10 minutes challenge, one instruction every minute, yikes! But it was fun and we all had a laugh. Anyways, I did actually win one of the challenges with things I found in the DT-kit Hobbyworld had sent for us to use while there. I got lots of stamps and papers from Papermaze, super cute! I got my hands on the amazing All is Bright series from MME. 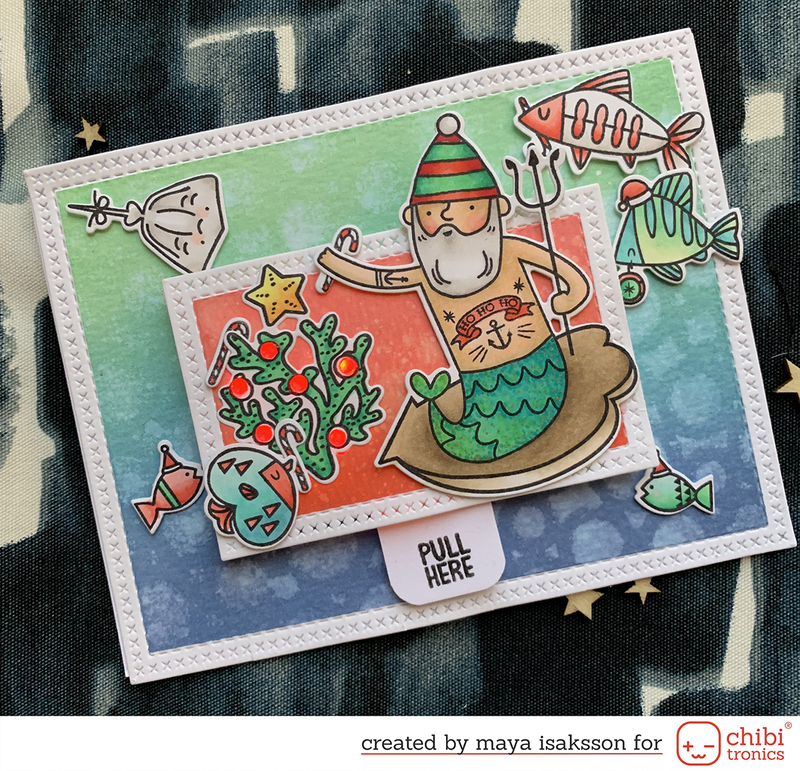 The challange was to make a kit with matching projects, one christmas card, onte tag and a christmas ornament. We had another challenge to alter a candle and I made one that matched the other projects. The papers from the All is Bright series from My Minds Eye are really my kind of Christmas papers, they come in lovely blues, turqoise, red and creme colors. They are so lovely that you really can’t fail when using them. I went to visit CiLi in Papers to chat and Cicci showed me these super cute tiny bird houses in one of the other shops and I fell in love. I had to get some and that’s what I used for a christmas ornament. The little bird from Prima was just perfect to add to it! Love how it turned out! This is the christmas card. It’s easy to match when using paper from the same series. I also made it match using the same border punch, twine and another cute bird. To make the tag I used a Spellbinders die, it is fun to just use parts of the dies to make nice edges. I also love those fat eyelets, they are just perfect for tags! The candle I made as a quick bonus project. It doesn’t take many minutes to punch out a nice border, tie some string around it and adhere some stickers. You can make them as a last-minute hostess present maby? I wouldn’t recommend burning the candle unattended though, paper and fire isn’t a great combination when left alone. I really had a great time in Karlstad and met all the wonderful scrappers I usually only see online. Isn’t scrappers the most friendly people? There will be a lot mor projects from Karlstad in the blog. There will be no other pictures unfortionetly since I never remember to take any.